It is also popular as “THE ACCOUCHER’S EMERGENCY MANUAL” In the era of modern homoeopathic gurus and their doctrine, we are missing some wonderful books by old masters, which are gems and gives wonderful clinical tips which aids in practice, and this is an attempt to introduce this wonderful book to young homoeopaths and homoeopathic students. This part contains 12 pages and the main object of the book is to give assistance in the emergency and at the bedside. The book contains remedies and their application to the abnormal conditions of parturition, those which occur directly before, during, or after labor or abortion. Here the symptoms alone must point to the curative remedy, so this is very useful book in obstetrical practice “Give the remedy the pathogenesis of which entirely covers the symptoms of the patient.” The author has simple plan where the first part contains therapeutic indications of remedies under various rubrics. The author says abnormal labor may be made as natural as the condition and circumstance permits. By this book one can observe the rapid action of the similimum in obstetrical practice. The author has asked to follow the direction of SAMUEL HAHNEMANN as given in the Organon and the Chronic Disease while prescribing to get an effective result. The author has emphasized that with the help of remedies there is no use of forceps and other obstetrical instruments but should consider them when there is real necessity. With reference to chloroform the author has mentioned that it is used in extreme cases where the similimum cannot be found or where instruments are necessary, as the chloroform lessens the power to cause voluntary muscular efforts. Author makes a note that “A women is more susceptible during labor and pregnancy to the action of remedies than at any other time” to the indicated remedy. For placenta praevia author has explained the method of Dr H.N.GURNSEY which is “In puncturing the membranes through the placenta and evacuating the liquor amnii.” Author informs that by properly selecting similimum the post partum haemorrhage can be controlled and life can be saved. This same can be applied to the puerperal eclampsia. Author has also mentioned about Potency and Repetition of the dose. Where in author says HIGHER POTENCIES act much more promptly and efficiently and are best in labor cases and are quickest in action especially in emergency cases. If the remedy is similimum then there is no need for repetition as its action is speedy. If there is no change then the selected remedy is wrong and another remedy must be selected. In ordinary complaints of labor half hour can be waited but in emergency with in few moments result is expected. If no result follows a new remedy must be selected. If there is change for better then wait until there is need for repetition. Author says the rubrics are distinct in their general features yet the peculiarities of the remedies are also covered. The repetition of symptoms under the various rubrics is intended to impress the prescriber those Red-line peculiarities of the remedy. In generalities he gives a bird eye view of each remedy so as to enable the prescriber to get a totality of the drug. Definite pictures are presented of each remedy which will aid in selecting the true similimum. Of all the chapters the HAEMORRHAGE chapter is the largest one as it contains 17 pages followed by LABOR and ABORTION, which are 16 pages each. THE BABY is the smallest chapter. The rubrics and sub rubrics are all arranged according to alphabetical order. A careful study of them will facilitate greatly the search for a remedy in emergency. Author’s main intention was to inspire confidence in those who are wavering in their faith and practice especially during emergencies, and this book gives lot of confidence in handling the obstetric cases both during and after labor. In modern days as there are so many super specialties in homeopathy are coming up, it is a ‘BOOK OF NECESSITY’ especially who want to concentrate on obstetric and neonatology. 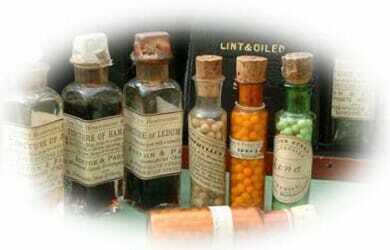 Till today this is a one field most neglected in homeopathic practice. Visiting Faculty,Govt. Homoeopathic Medical College, Bangalore. Jr. Consultant, Gokula Homoeopathic Medical Centre,Bangalore-54. Sir I am MD student and pursuing my dissertation over the same repertory, hence wanted to know more about author and his concepts and the era when he worked, what influenced him to work in the field.